A Flag meeting held at Bumla in Arunachal, between the Indian Army and China’s People’s Liberation Army on 30 May as a confidence-building measure and to enhance bonhomie and cooperation between the two largest armies of the world. 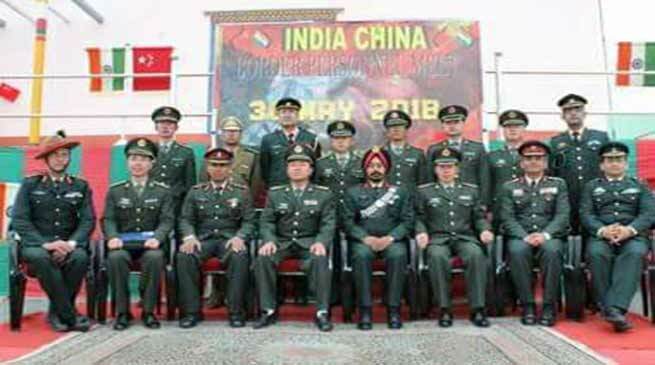 The Indian delegation was led by Brig MP Singh, Commander of the Tawang Brigade, while Senior Colonel Tang Fu Cheng, Commander of Tsona Dzong Garrison, represented the Chinese side. Both sides reaffirmed their commitment to uphold the agreements and protocols signed between their governments to maintain peace and tranquility along the borders. “The delegations parted amidst a feeling of friendship towards enhancing cooperation and maintaining the peace along the Line of Actual Control,” defence sources said. In the last 28 years, the BPM mechanism has evolved into a vital platform for resolving local issues and fostering mutual confidence, with a view to enhance peace and tranquility in the sector. Located at altitude of 15,134 ft and situated 42 kms North of Tawang town, Bumla is one of the five designated BPM venues between the Indian and Chinese troops.